“Batting third for the Phillies and playing center field, No. 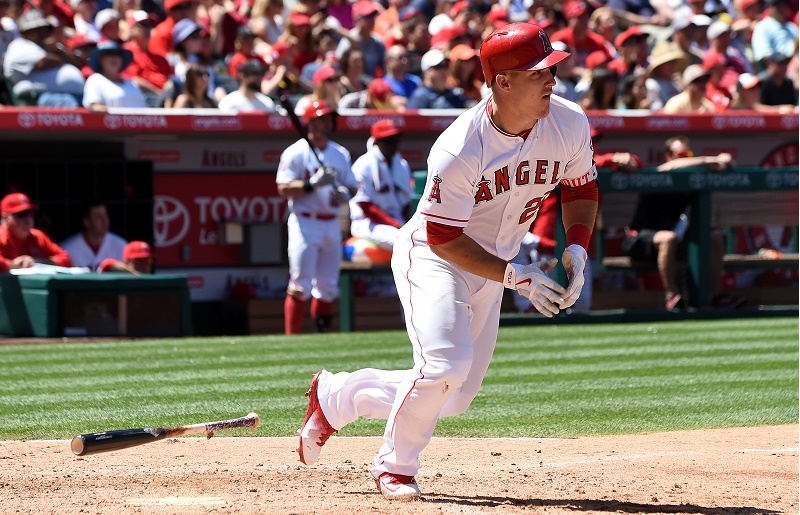 27, Mike Trout.” Yes, every long-suffering Philadelphia Phillies fan is sitting on the edge of his or her seat hoping that the summer trade deadline brings an early holiday gift in the form of Angels superstar, Mike Trout. Preposterous? Maybe. Out of the question? No. Currently, the 24-year-old outfielder is batting .316 with 18 home runs and 59 RBIs. 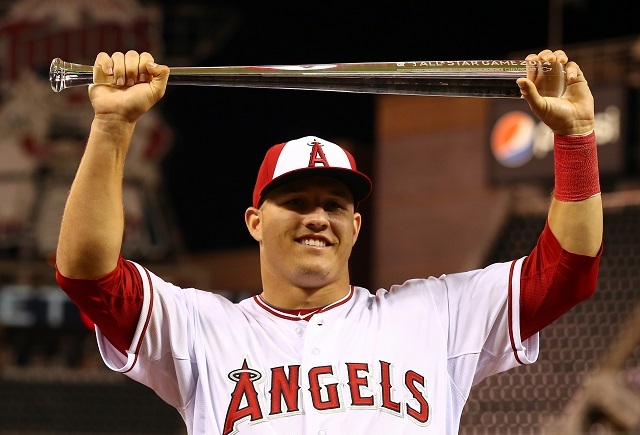 You can also add MVP and Rookie of the Year trophies and five straight all-star appearances to Trout’s resume. Through his first four full seasons, he was No. 1 in Wins against Replacement (WAR), which clearly means… He’s irreplaceable. However, in the world of baseball, being irreplaceable means a team going nowhere — aka the Angels — can ask another team for a bundle to part with the young star. One player bringing in a handful of high-potential minor leaguers can spell the difference between making the playoffs in two years and waiting a decade for a return to prominence. 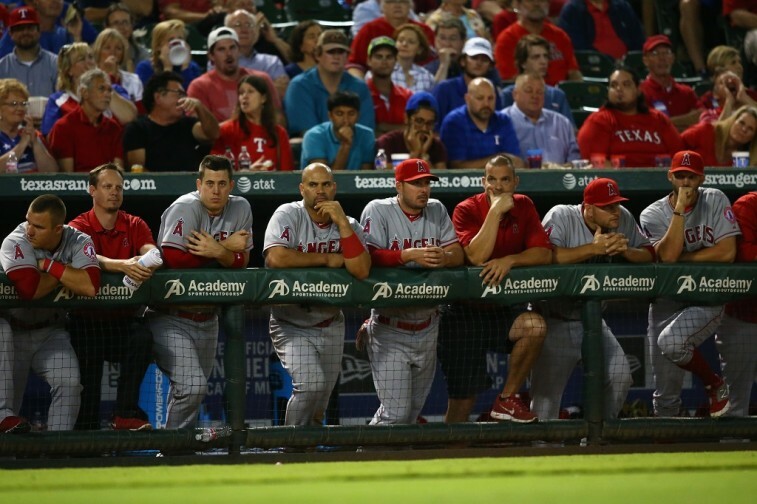 Here are five reasons why the Los Angeles Angels of Anaheim should trade Mike Trout to the Phillies. According to Baseball America, the Los Angeles Angels have the worst-ranked farm system of the 30 major league ball clubs. On the other hand, the Philadelphia Phillies have the eight-ranked system, using a number of trades and smart drafts to move up 14 rungs on the minor league organizational chart. The Angels top prospect is catcher Taylor Ward, batting .246 for Inland Empire of the California League. The top pitcher in the Angels farm system is lefty Nate Smith, who plays for the Salt Lake City Bees. In the 2016 Future Game, Smith got battered with four hits in one inning of pitching, giving up two runs. A finesse pitcher with a below-average fastball, Smith is, at best, a back of the rotation starter. The Phillies are loaded with prospects who could make Angels fans forget Mike Trout — well, maybe in a few years. While J.P. Crawford may be untouchable, others who could proudly wear an Angels uniform include Nick Williams, Roman Quinn, and Cornelius Randolph. Toss in a current top-flight starter such as Maikel Franco, and you may have a deal. 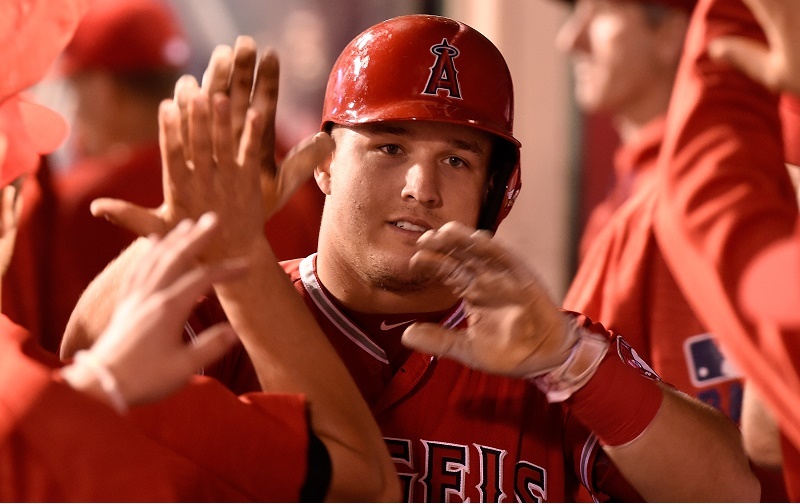 Mike Trout grew up a Phillies fan in Millville, N.J., just 41 miles from Citizens Bank Park. It’s more likely he attended games at (the demolished) Veterans Stadium, which was next door to CBP. Trout’s family still lives in New Jersey. His first game in Philadelphia since joining the majors was proclaimed Millville Night and 4,000 of his friends and neighbors came to cheer him on. In 2008, when Trout was a senior in high school, he and his friends went to the Phillies World Series parade and walked from the stadium to City Hall. Yes, it’s true that Mike Scioscia has a long-term contract with the Angels, but after a disastrous season in 2016, the Angels might be willing to part ways with the best manager the team has ever had. Heck, they were willing to get rid of Josh Hamilton in the middle of his crazy contract. 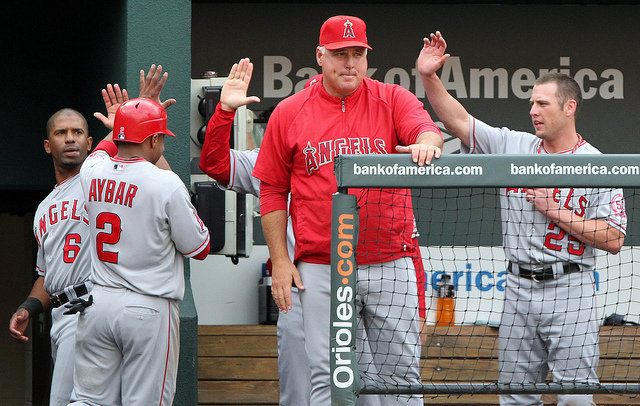 Like Trout, Scioscia is a local Philadelphia boy, having grown up in Upper Darby, Pa. Both the Phillies and Angels should be in the market for new skippers in 2017 as the teams are in varying stages of rebuilding. Clearly Pete Mackanin, the current Phillies manager, is not a long-term solution. Scioscia heading to the Phillies would be close to the equivalent of Joe Maddon managing the Cubs. The National and American Leagues differ in that the Senior Circuit puts a premium on power, speed, and fielding while the American League tends to focus strictly on power. Even though Trout has cut back on his running game (he has no one behind him to protect him), he is the ultimate 30-30 man. 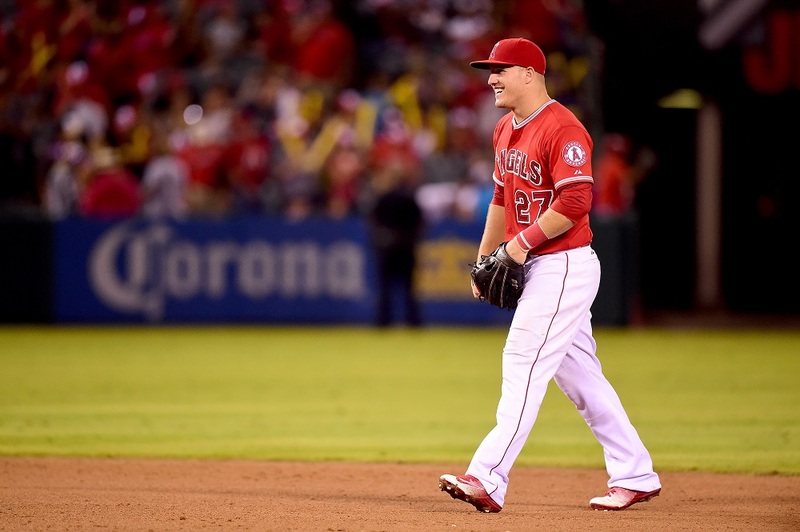 Over his short career, Trout averages 34 home runs and 28 stolen bases per season. Trout will have good company as an NL power-speed guy with the likes of the entire Pirates outfield, any number of Cubs players, Curtis Granderson, and MVP Bryce Harper. Mike Trout’s current salary of $15.25 million will go much further in the Philadelphia Metro area than in Orange County, Calif. Homes in Philadelphia are about half the price of Anaheim and a dozen eggs are $1 cheaper in the City of Brotherly Love. Bankrate.com says that Trout could take a 20% pay cut in Philadelphia and maintain his current standard of living.